Our second day in Thunder Bay was just plain awesome. After a delicious breakfast cooked up by our favourite Thunder Bay resident, we drove out to the Thunder Oak cheese farm. The scenery north of town reminds me of Chilliwack, BC with open fields stretching out to the bases of lofty hills. Thunder Oak is a Dutch cheese farm that makes lots and lots of glorious gouda. Just the one kind of cheese, yes, but 13 different flavours of Netherland’s favourite fromage! And, an even more joyous surprise- you can taste almost all of them! My favourite was definitely the extra old gouda, but other fun flavours like sun-dried tomato, dill, jalapeno and smoked gouda are varieties totally worth adding to your picnic basket. There are fresh baked goods available as well as cheese gift baskets and a variety of other quintessential Dutch souvenirs that may peak your interest. Our lunch bag significantly more delicious, we continued on to start burning off the cheese samples with a hike up to the top of Mt McKay. 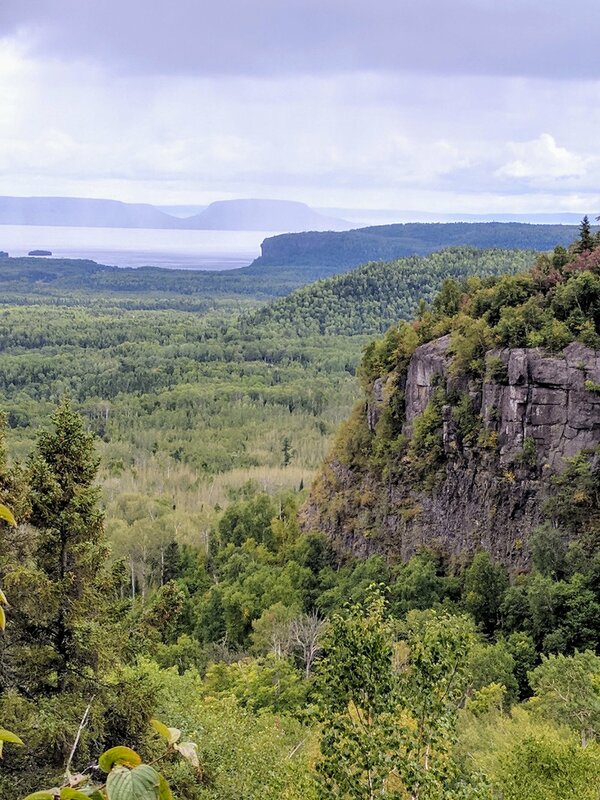 Mt McKay is a scenic lookout on the Fort William First Nation that is at the base of the mountain, but still 500ft above Thunder Bay. You can pay $5 to drive up to the official lookout or make your hike extra-long and walk up, parking beside the entry hut for free. There is a gravel parking lot on the left before you get to the actual lookout. This is where you want to park to hike to the top of the mountain. Note that the scenic lookout and the top of the mountain are two different places. The path up the mountain starts from the far left corner of that first parking lot, facing Mt. McKay. For the lookout, drive further up the driveway. The lookout has a nice view, but is not nearly as impressive as what you can see from the top of the mountain. The hike is about 45 minutes up from the parking lot, and quite steep in areas. However, the workout and rock scrambling is certainly worth the view. Explore the top of Mount McKay to find the most perfect picnic spot at which to enjoy your Thunder Oak Cheese and (hopefully) Sleeping Giant Brewery beer. You can face Lake Superior and the infamous giant, or the city, airport and surrounding hills. All directions make for exceptional picnic spots. Be warned, if the weather is agreeable- you may just want to stay up at the top of the mountain and take in the panoramic views all afternoon. 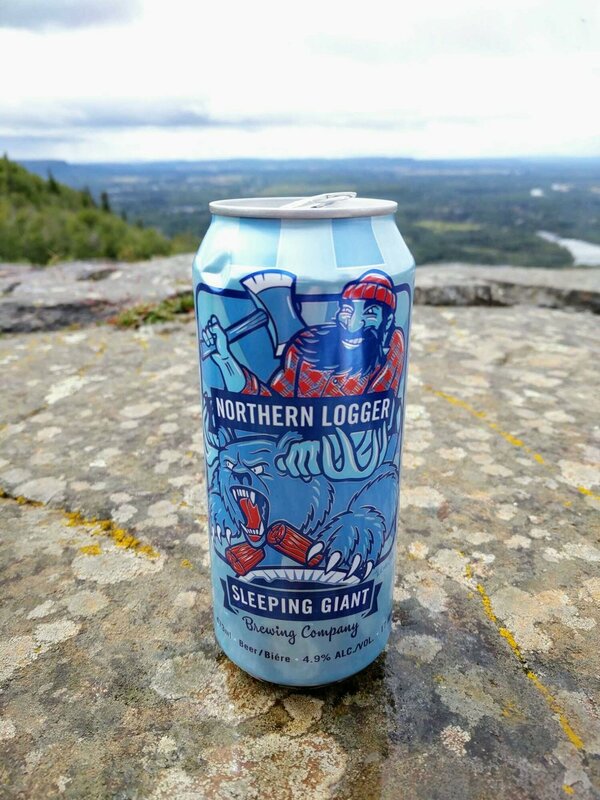 However, if you can pry yourself away and make your way back down the mountain before 9pm there’s good news: You can still make it to the fantastic Sleeping Giant Brewery. From beer to snacks, service and atmosphere, the Sleeping Giant Brewery nailed it all. It definitely made for one of our favourite afternoons in Thunder Bay! Cheese, hiking and beer! What a day!